Have you ever gone into a store or restaurant and the customer service was so bad that you promised yourself never to go back? To provide excellent customer service, consider participating in Customer Service Training Course from pdtraining delivered in Orlando, Philadelphia and other cities. What was it about the customer service experience that was so poor? Was the staff rude or arrogant? Or maybe the service was slow? Or maybe they didn’t have what you were looking for? Or were your expectations too high? Well, there is nothing wrong with having high expectations, so how can poor customer service be improved? Great customer service can be taught and will offset almost any other issue a client may experience. I recently stopped into a men’s shop at the international airport in Dallas to inquire as to whether another brand’s store was in the shopping area of the airport. The guy behind the counter not only told me exactly how to get to the other shop, but when he learned I was after a very particular shirt color and size, he actually rang the store and asked if they had exactly what I was looking for; which they did. And he did this without being prompted! Developing the personality and the skills to impress customers is essential for customer service professionals. As they are the front of a company, their behavior and level of expertise determines the impression a company creates in the minds of its customers. As a customer service professional is required to deal with various kinds of people, it is important for them to know how to handle themselves in various situations. 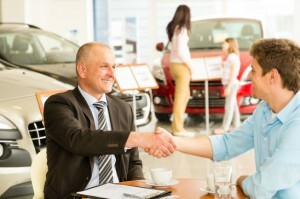 To turn a first-time customer into a loyal one, a customer service professional requires persuasion, honesty, quick identification of customer needs, and the will to serve in the best possible manner. A company that provides their customers with authentic and honest service gains more customers through word-of-mouth promotion. Therefore, the value of a trained customer service professional cannot be undermined. To amaze your customers with your company’s service, train to develop skills in customer service.